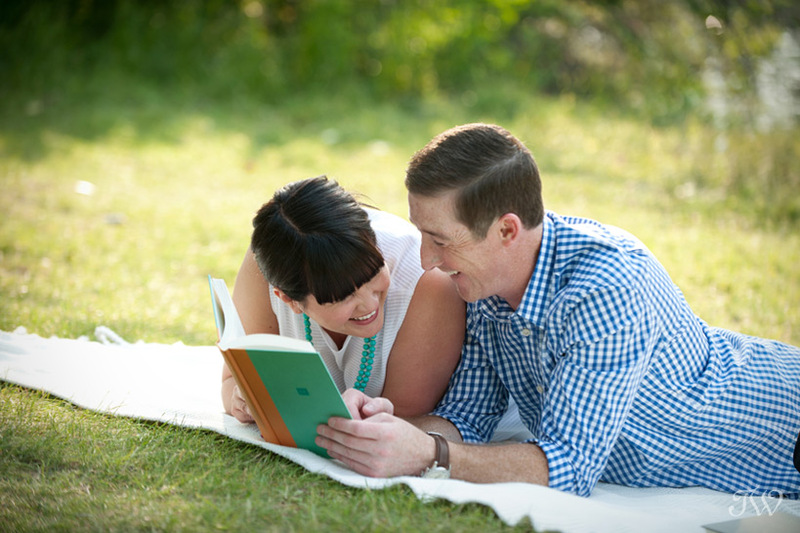 I always look forward to engagement sessions. 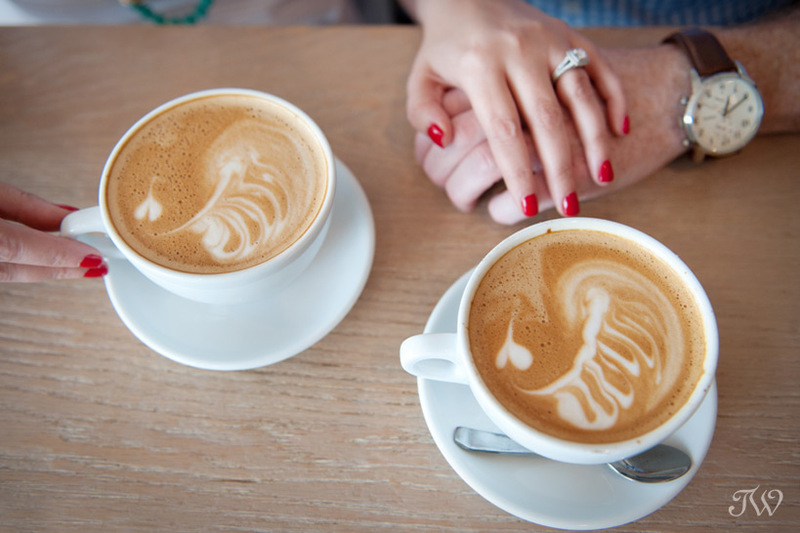 They are like a looking glass into the lives of my wedding couples and they give me the opportunity to find out what makes them tick. 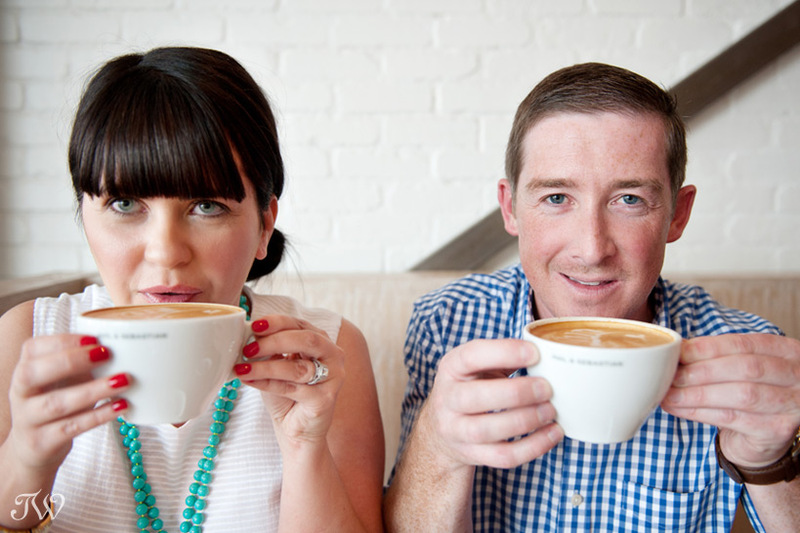 For Kellie and Ryan, it’s coffee (talk about the perfect clients for me). 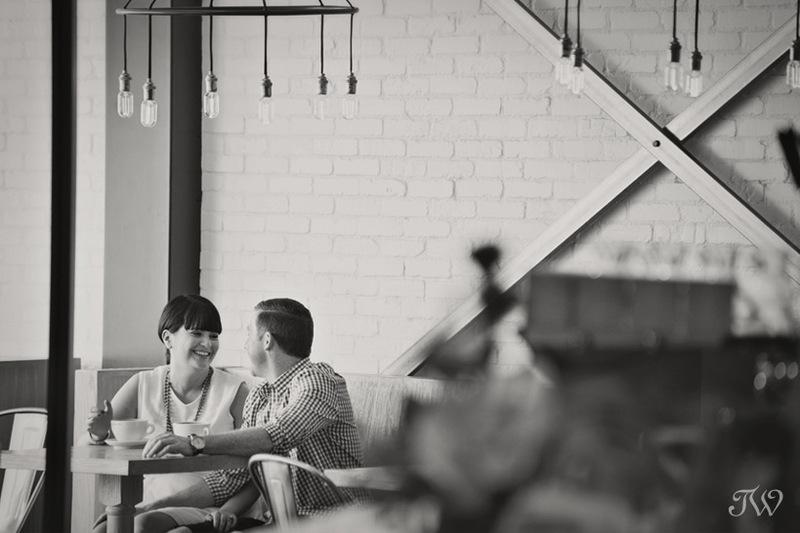 They wanted their engagement session to align with the feel of their urban wedding. 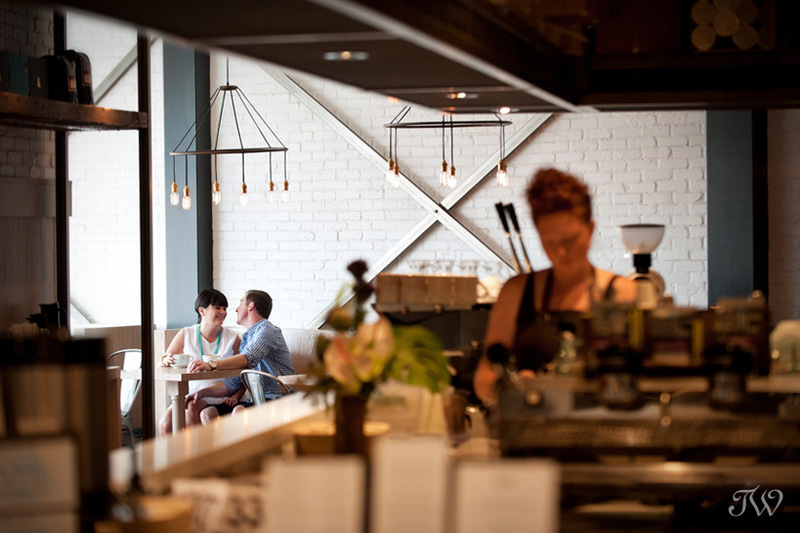 They loved the light and airy atmosphere at a favourite local coffee shop, Phil & Sebastian‘s in Chinook Centre, so that’s where we kicked things off. 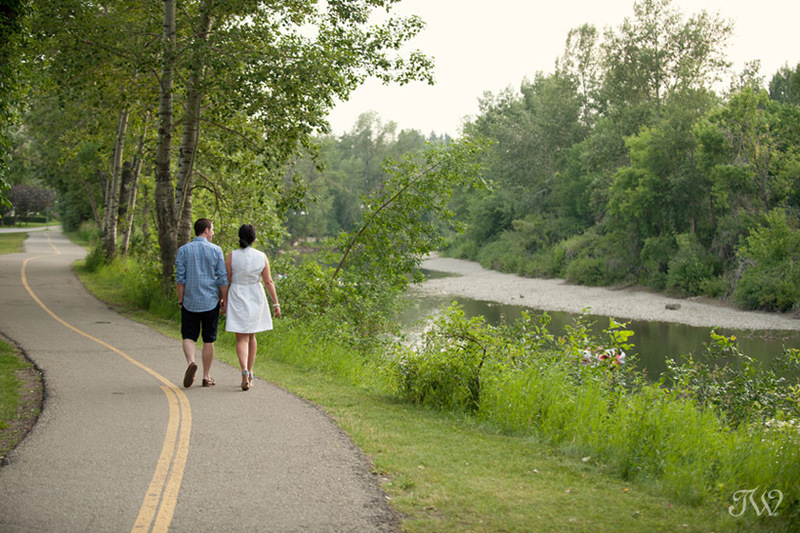 With caffeine on board, we headed to Stanley Park for some photos on the banks of the Elbow River. 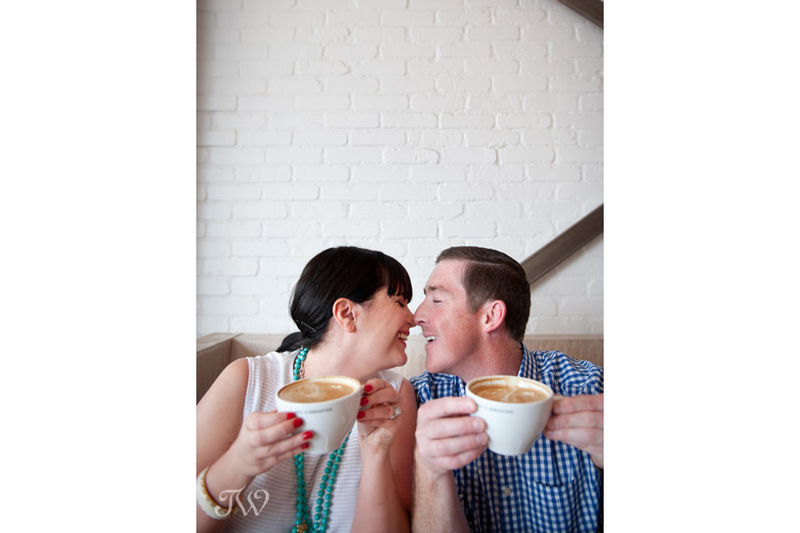 Kellie and Ryan, I’m really looking forward to your downtown wedding in October. 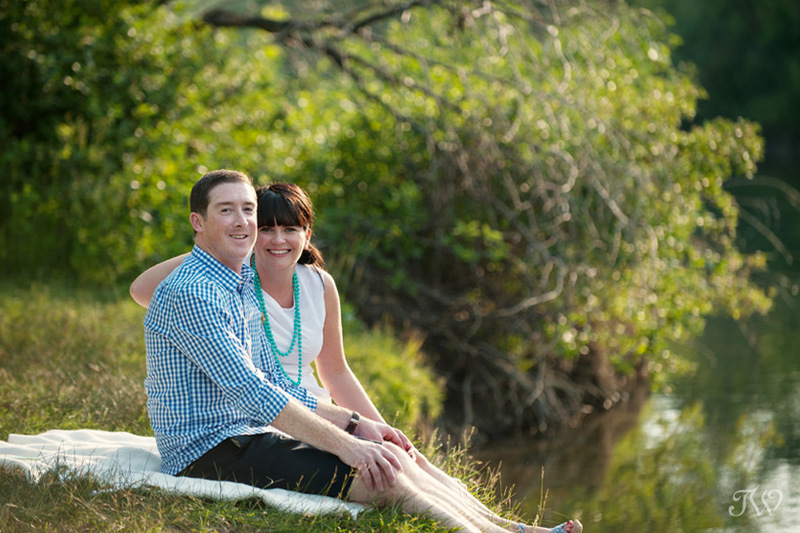 Here’s Kellie and Ryan’s sneak peek, if you’d like to see.